Go have a date night and remember the feelings you had when you first met. There was not a cloud in the sky. 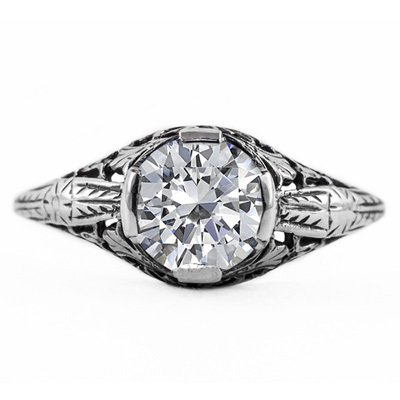 This crystal clear white topaz ring will have you dreaming of a perfectly blue sky day. Apples of Gold has exceeded expectations with this art nouveau creation. A sterling silver setting, embellished with delicate flowers, anchors a round, natural white topaz gemstone. 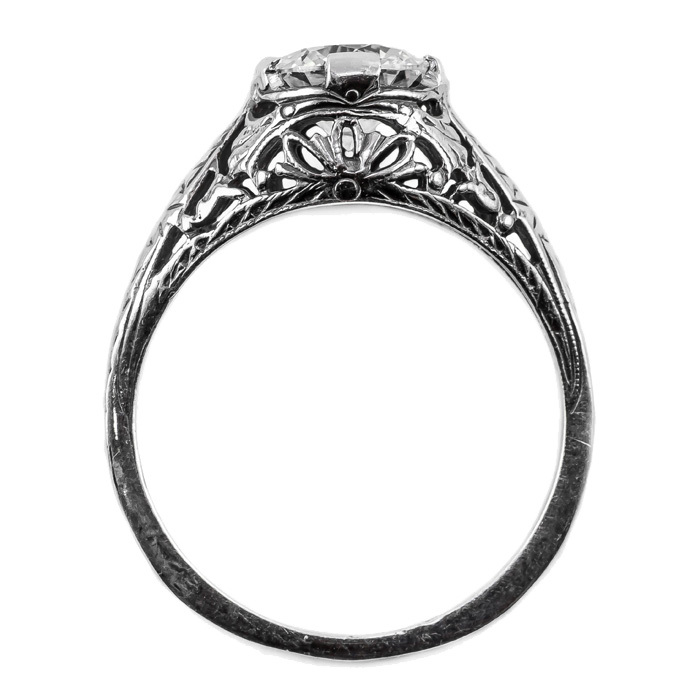 The size of the ring measures 7mm and is arranged in the center of the design. An ornament of gleaming jewels, this treasure exudes richness and glamour. 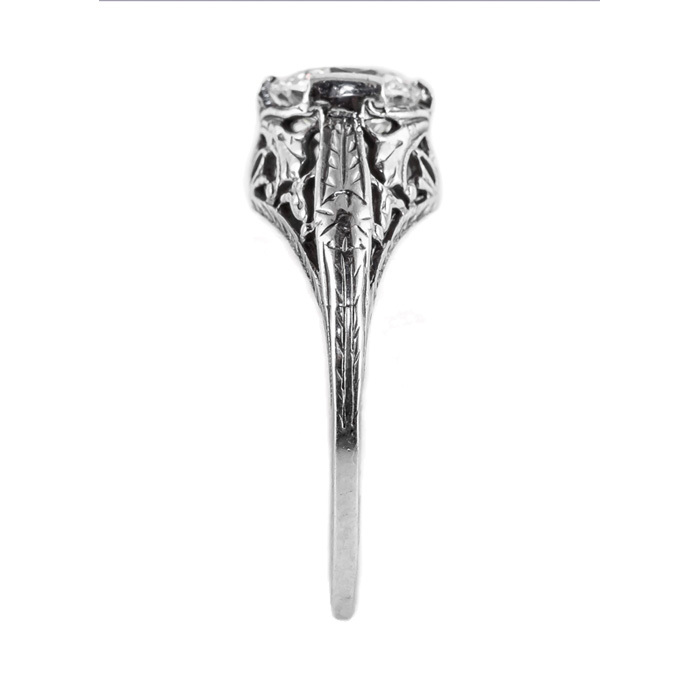 We guarantee our Floral Design Art Nouveau Inspired White Topaz Ring in Sterling Silver to be high quality, authentic jewelry, as described above.